Looking for inspiration to take on your own renovation project, whether a derelict farmhouse or something else? Lisa and Richard Swaine are enjoying making the most of their newly completed home – a spacious barn conversion that incorporates the adjoining renovated farmhouse. It's been a long time coming, with work starting on the derelict former dairy farm in 1998. 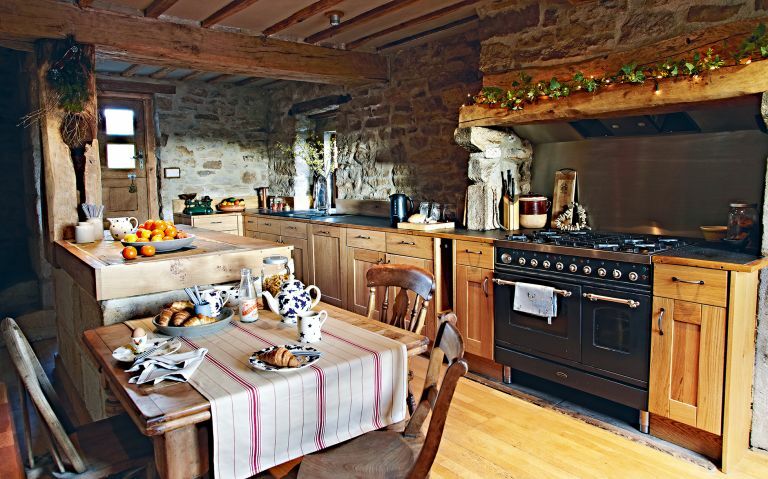 The main draw of the property, which is set in the Yorkshire Dales, within an Area of Outstanding Natural Beauty, was its remote location in the countryside. Approached by a quarter-mile track and surrounded by three acres of gardens, fields and paddocks, the agricultural buildings of various sizes were arranged to form a courtyard. The couple have since converted the smaller buildings. Once you've read about their experience, browse more of our stunning real home transformations. Read our guide on renovating a house, too, for more guidance. With only a small amount allocated to spend on the farmhouse and a tight budget for the barn conversion, they knew that they would need to carry out most of the work themselves. ‘We didn’t have too many problems with the farmhouse,’ says Lisa. ‘My father is a cabinetmaker and my brother a steel fabricator, so the only trades we needed were plumbing and electrics. Richard and I did the concreting, pointing, tiling and plaster-boarding. ‘When the time came to start the barn, we were just entering the recession, which meant we had a smaller design workload, so Richard was able to take on the responsibility of project-managing the build and doing most of the work on his own,’ she adds. Standing tall from the hallway below, the top of an imposing six-metre-high Christmas tree emerges. ‘From the very beginning, we visualised having a big tree in the hall,’ says Lisa. There was a frightening time for the couple two years ago, as they were close to finishing the project, when Lisa suffered a stroke. After a difficult period of tests and treatment, however, she is on the mend and their vision for the boys’ upbringing in this idyllic rural setting is back on track. Looking for more real home renovation inspiration?